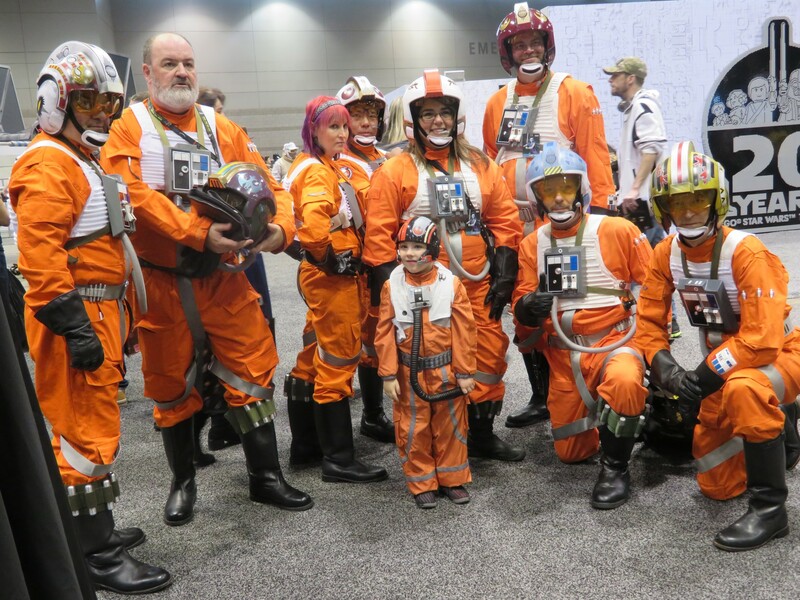 Star Wars Celebration Chicago 2019 Photos #2: The Right Side of the Force Cosplay « Midlife Crisis Crossover! 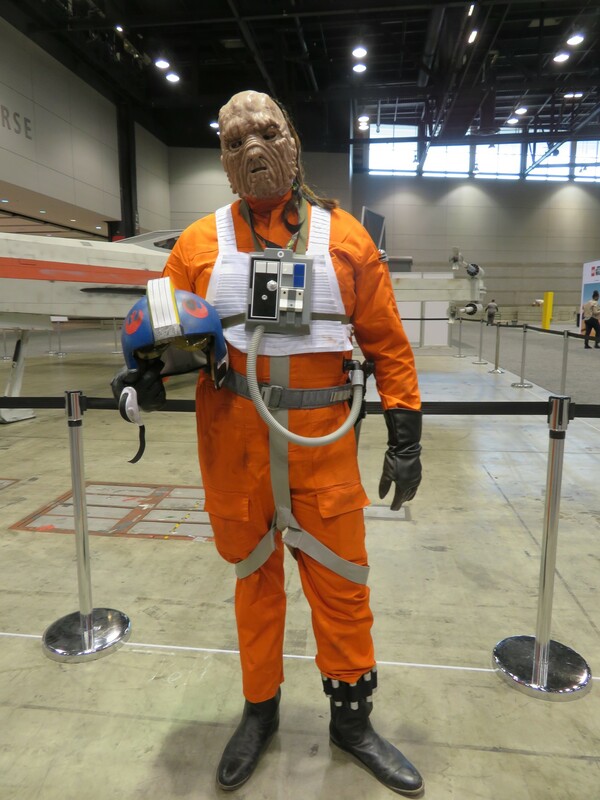 Weequay X-Wing pilot, possibly Jhoram Bey from Dark Horse Comics’ Star Wars: Legacy. 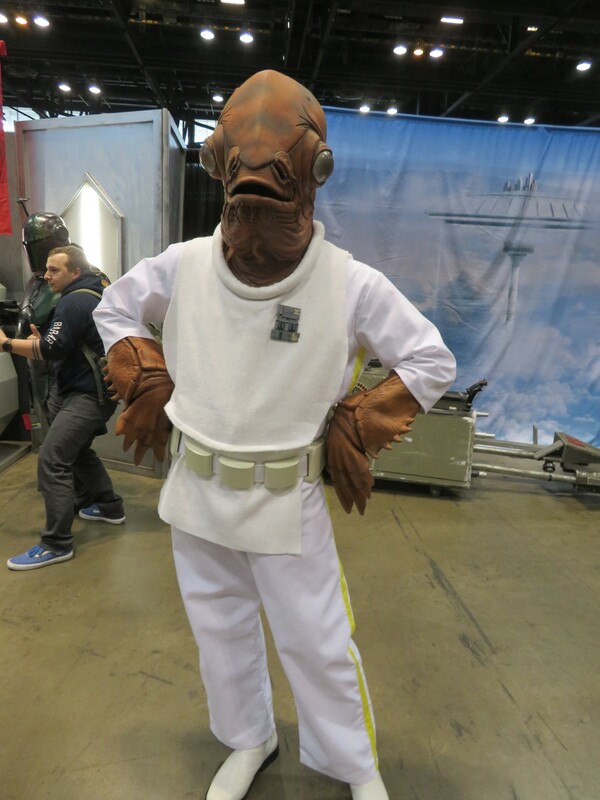 Admiral Ackbar, confident that he’s not walking into a, I dunno, whatever kind of a bad thing people walk into sometimes. 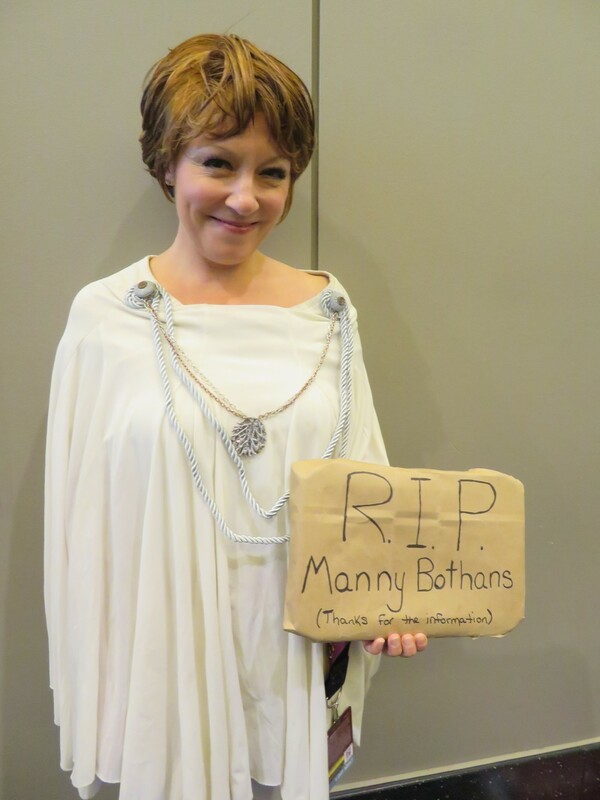 Mon Mothma, reminding us to never, ever forget those Bothans. 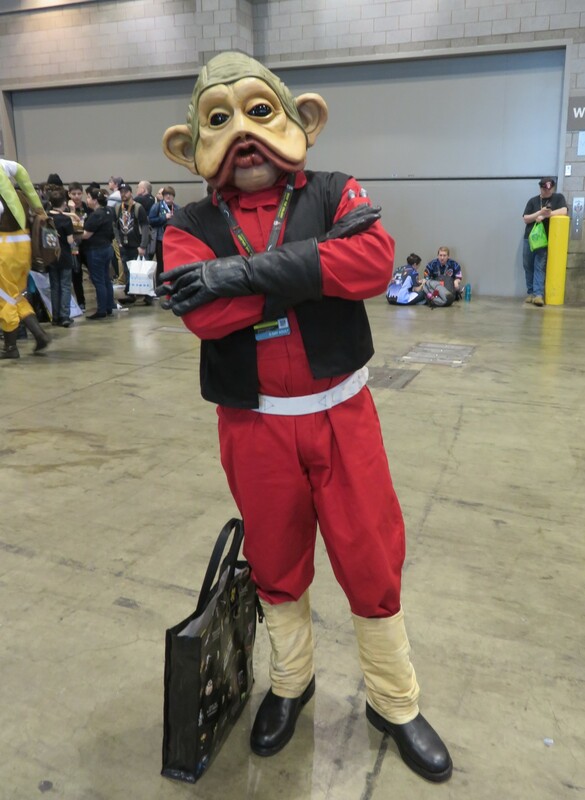 Nien Nunb, history’s most underrated Millennium Falcon copilot. Star of the upcoming holiday classic Star Wars: The Rise of Lando and His Skywalkers. 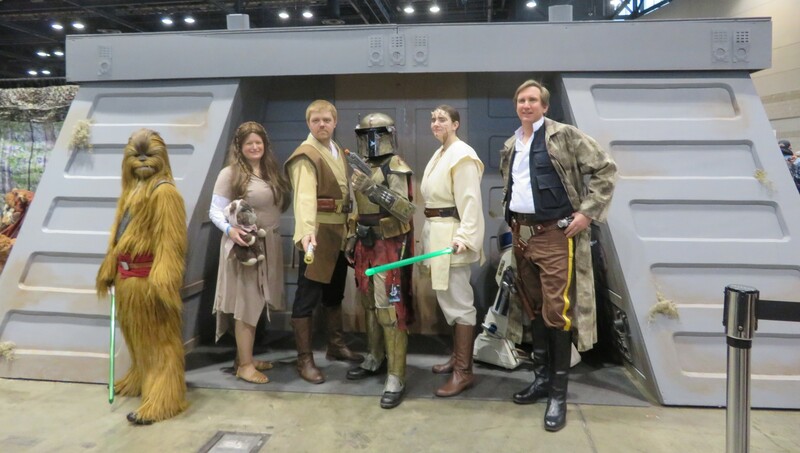 An alt-universe Endor bunker infiltration scene in which Han, Leia and Chewie brought along two Jedi plus Boba Fett, who owed them for rescuing him from the Sarlacc. 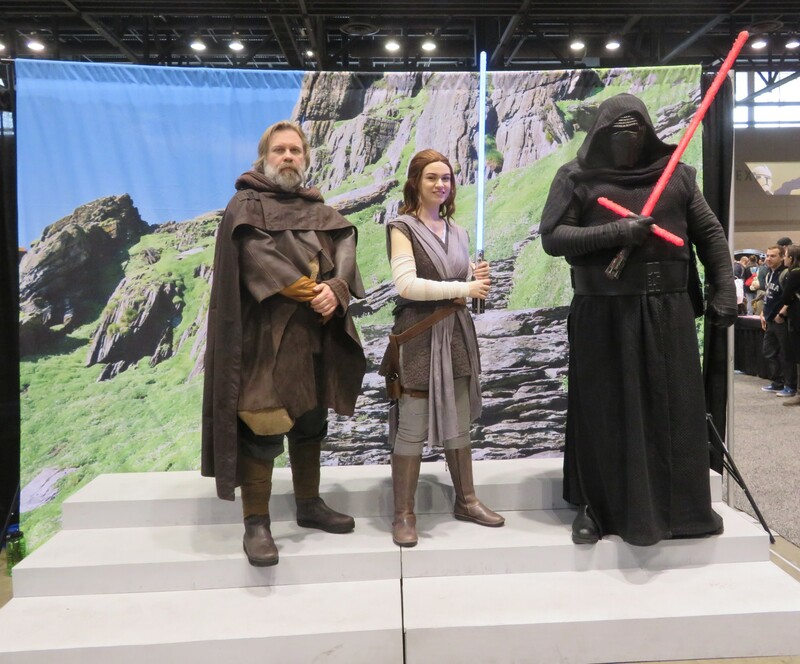 Which one of these three is not a true Skywalker? The answer might surprise you! 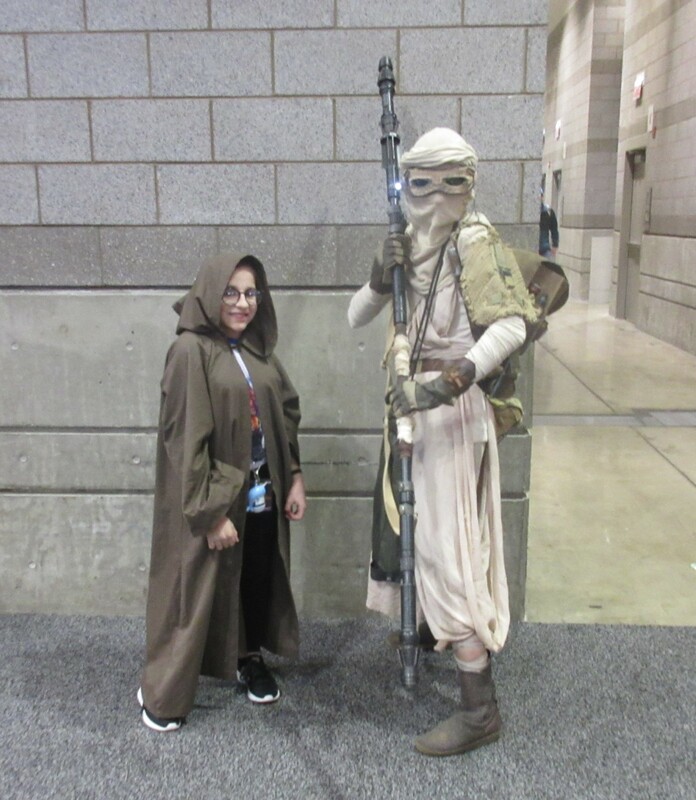 Rey in full desert gear, a rare convention variant. 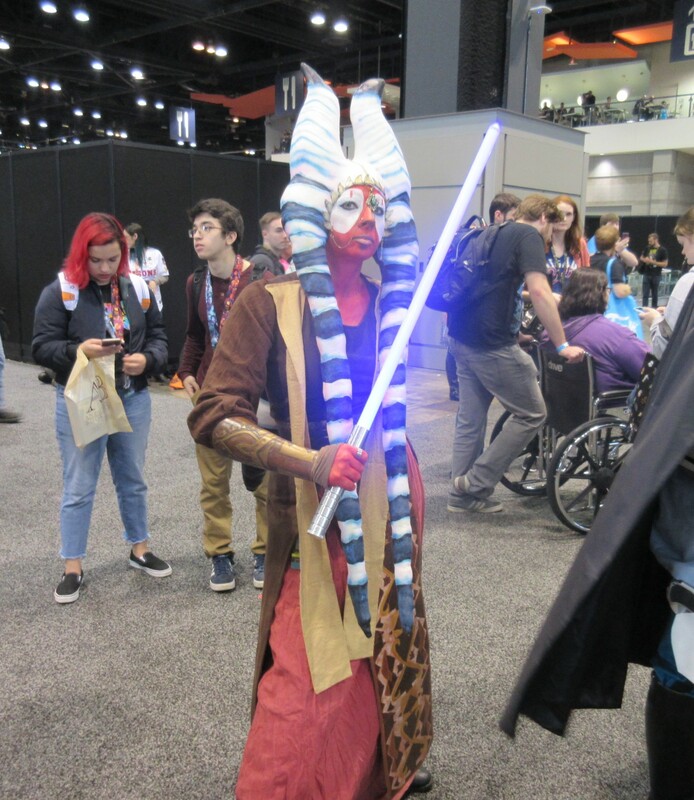 Jedi Master Shaak Ti, whose death after Order 66 was deleted from Revenge of the Sith, and in my mind therefore never actually happened. Anyone who thinks that casually citing her offscreen death in an official reference book counts as an actual, in-story death is a terrible world-builder. One of the things I loathe most about the Star Wars Universe is how many offscreen events, names, and characterizations went unused but are treated as though they “count” anyway. That’s straight-up “Dumbledore is gay”-level storytelling hogwash. 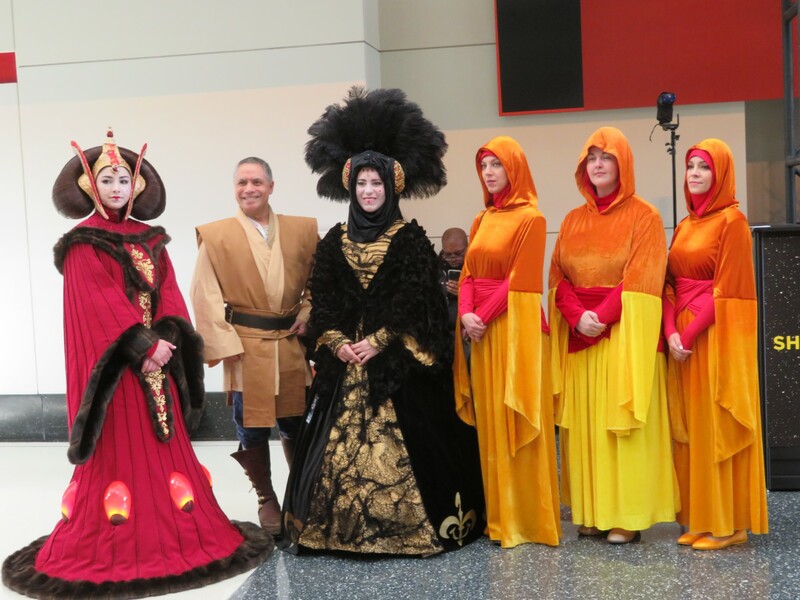 Jedi parade, which happened around the same time as the Celebration Costume Contest. 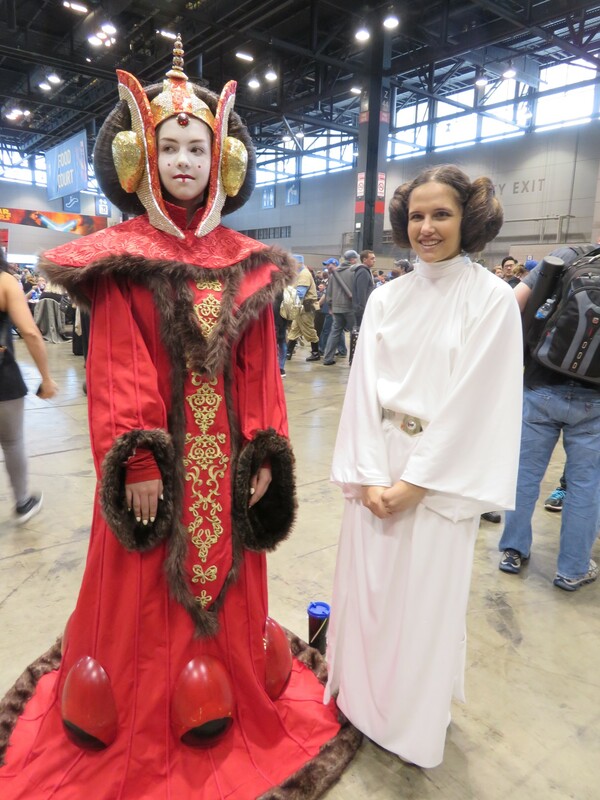 Queen Padme Amidala hanging out with her princess daughter. One-two Padmes rule before you. That’s what I said now. 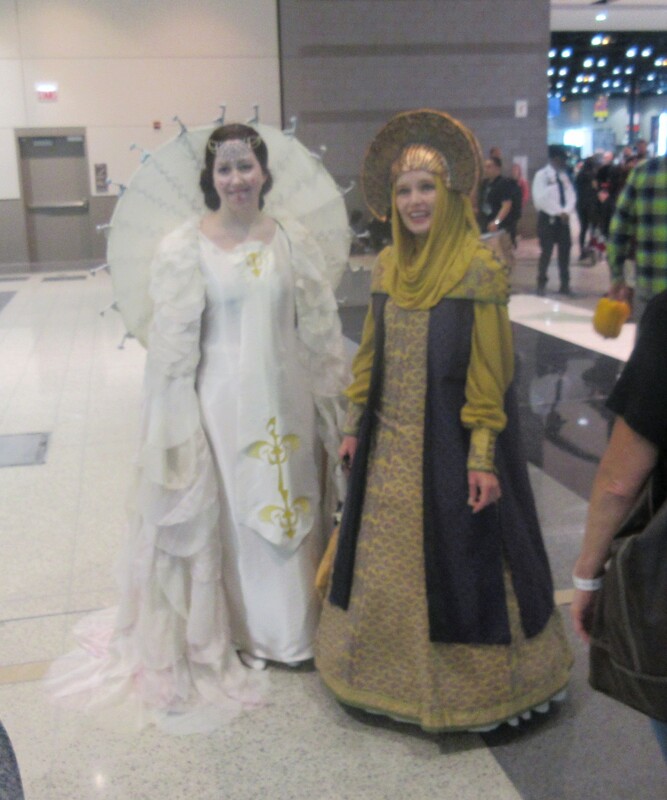 Another teaser from the upcoming Into the Padmeverse. 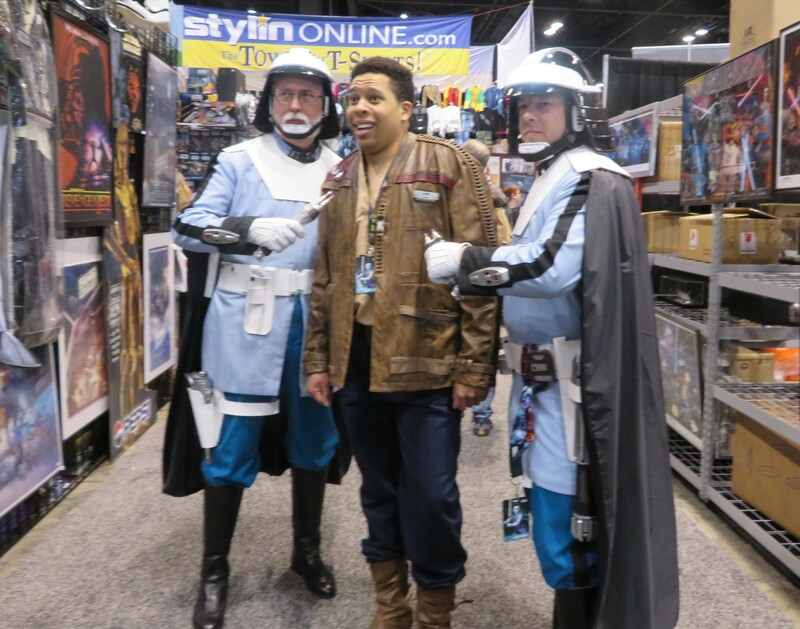 Finn under arrest by Canto Bight Police Officers for the rare crime of Letting a Chase Scene Drag On Too Long. 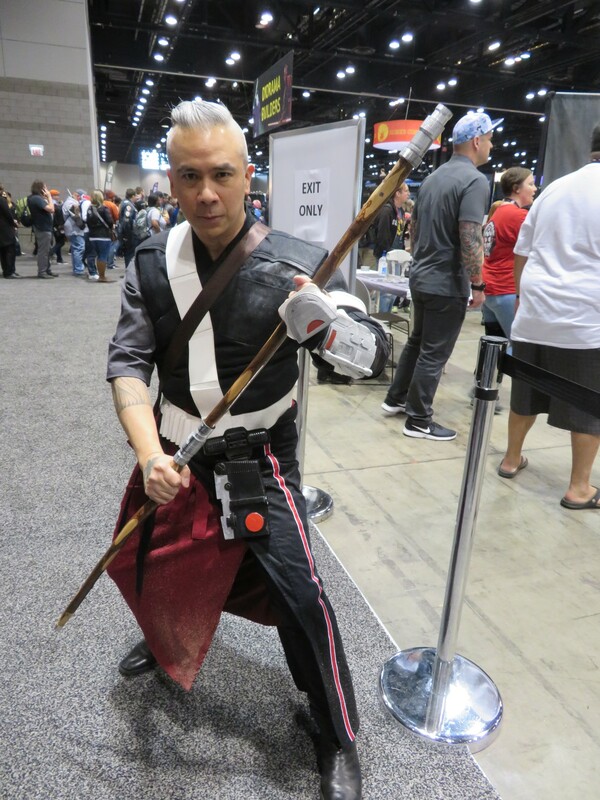 Chirrut Îmwe from Rogue One. He is one with the Force; the Force is with him. He is one with the Force; the Force is with him. He is one with the Force; the Force is with him. He is one with the Force; the Force is with him. He is one with the Force; the Force is with him. 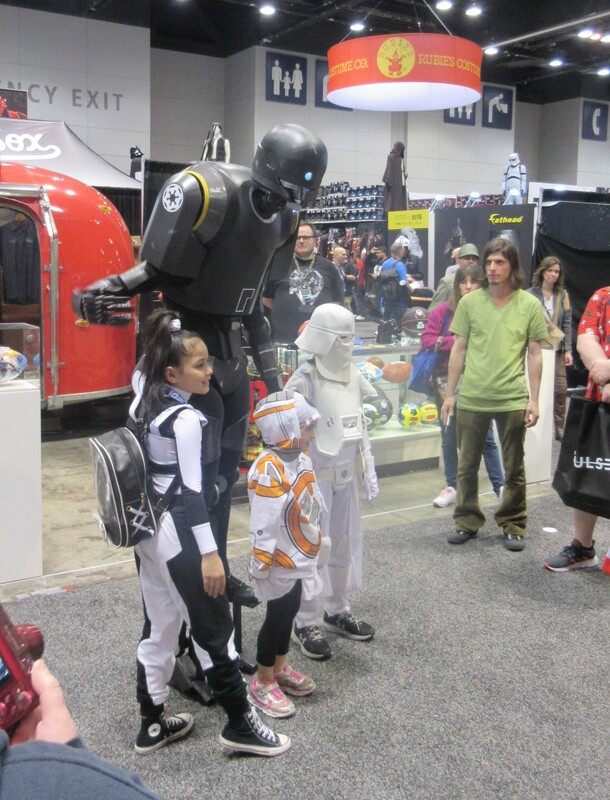 K-2SO, friend to children everywhere. 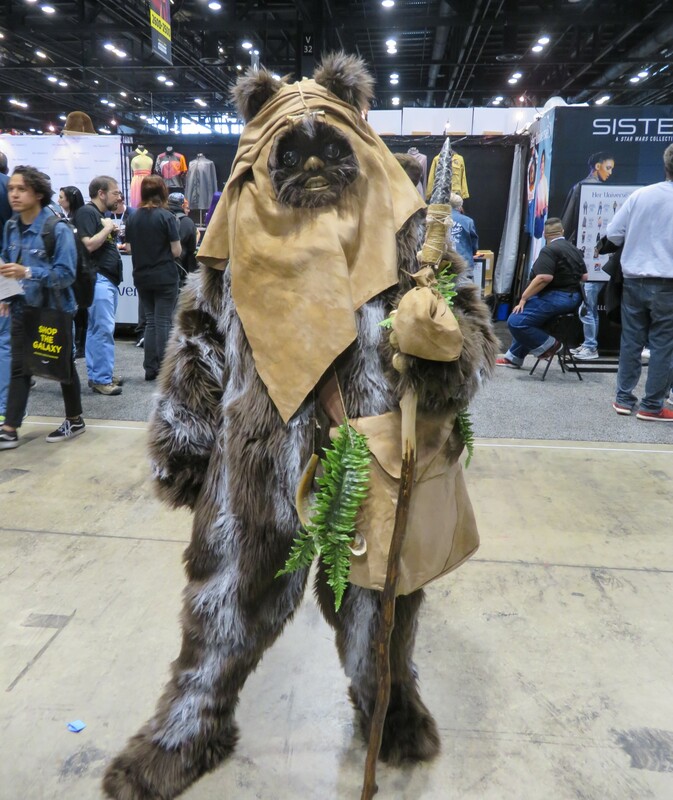 Also a friend to children everywhere: Wicket the Ewok! 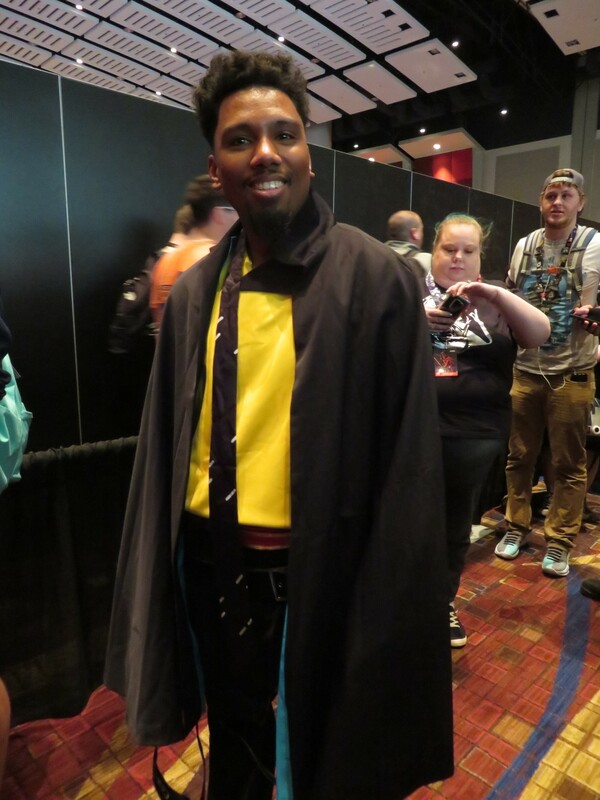 Who may have been murdered by this Ewok who stole his mini-cloak. Logray the Medicine Ewok, whose stripes sometimes resemble the suspect in the Wicket case, had no comment for us on the record. 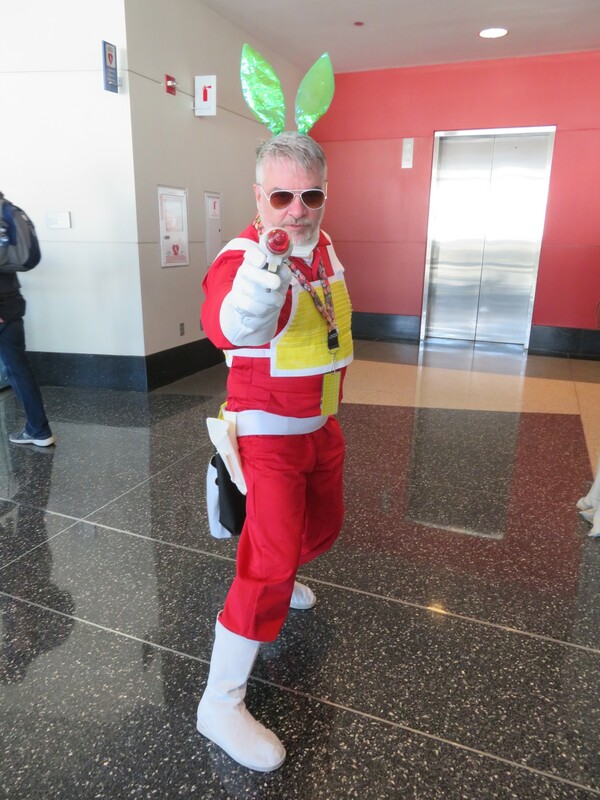 Jaxxon the green smuggler rabbit, one of the most beloved creations from ye olde Marvel apocrypha, recently canonized in IDW Publishing’s all-ages Star Wars comics. Everything old and weird is new again but still weird! 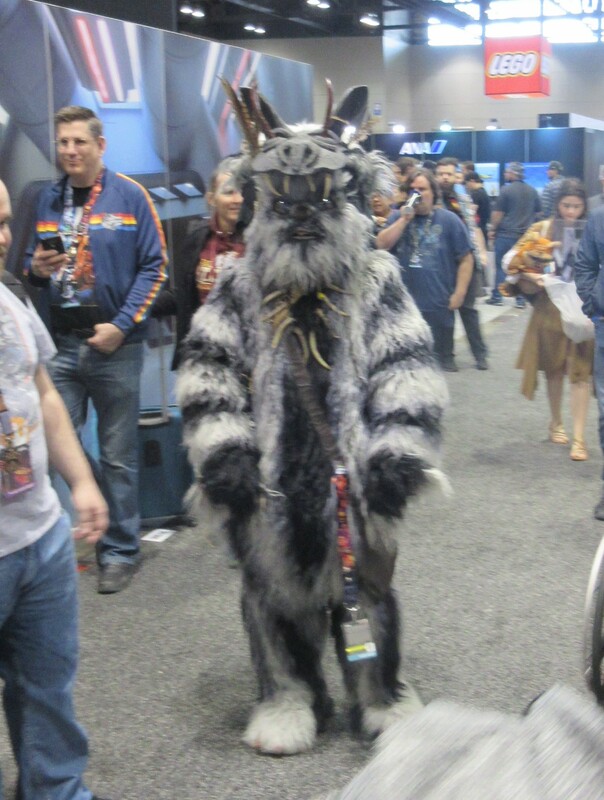 Sometimes celebs will attend conventions secretly in costume, such as Scooby-Doo here cosplaying as Chewbacca. 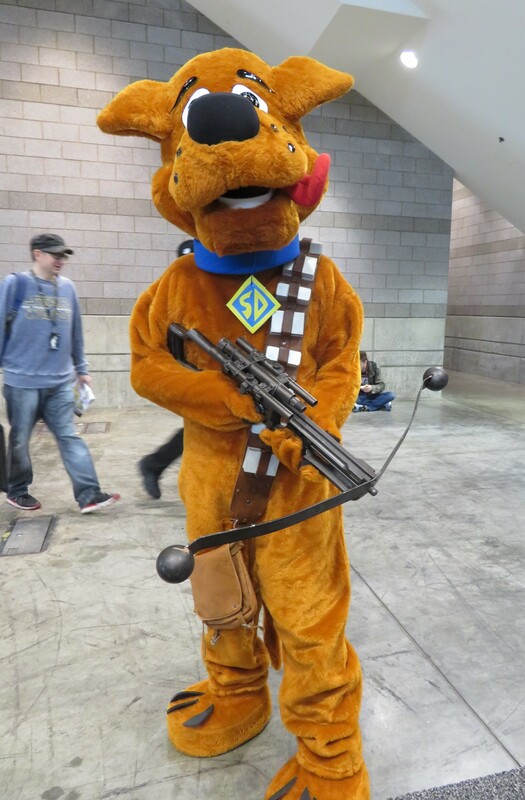 Call him Scooby-Doobacca. Wookiee-the-Pooh! Wookiee-the-Pooh! Snuggly giant smuggler all fluffed and tough! 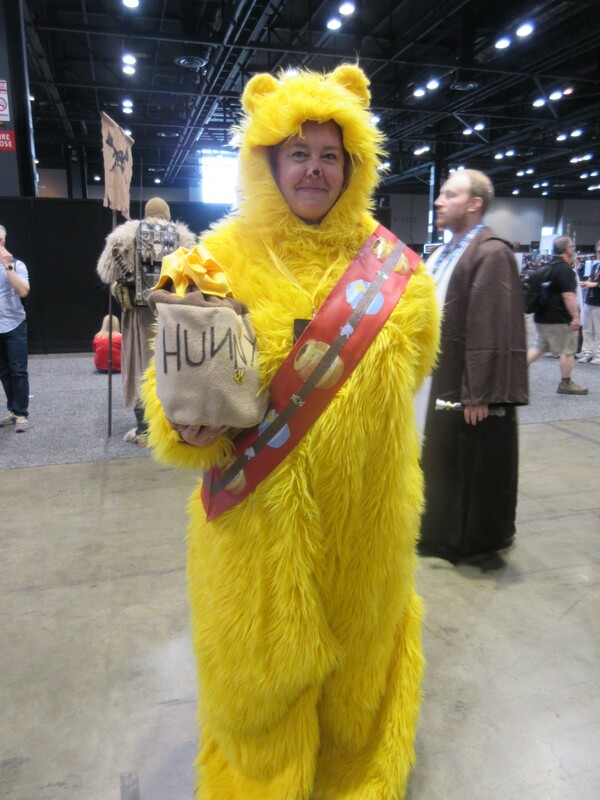 That’s Wookiee-the-Pooh! Wookiee-the-Pooh! 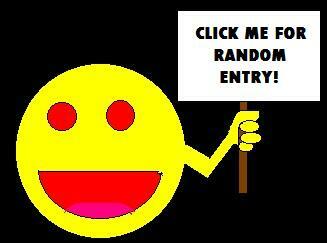 Willy-nilly-kill-y old friend!